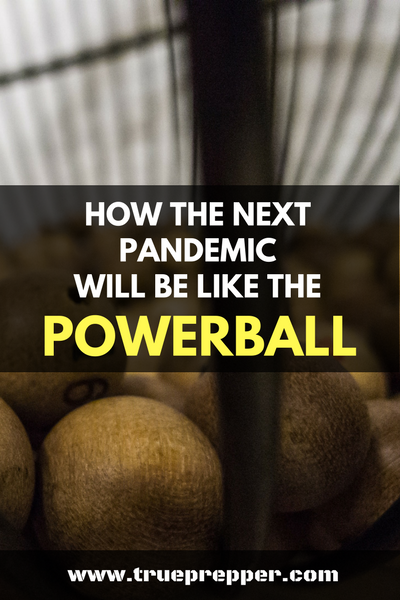 Pandemics and the most well-known lottery (the Powerball) actually have quite a lot in common. The outcomes are very different, of course. The Powerball makes a lucky group or individual very rich while a pandemic wipes out a chunk of the world’s population. The math and models associated with the two are similar though. We will talk about the predictive model math, including probabilities and impact in this article and look at how the results can affect us. The probability for hitting the jackpot with the Powerball is currently 1 in 292,201,338. Pretty small odds! In January 13, 2016 the jackpot was a whopping $1.6 billion. The jackpot climbs high very quickly once it reaches a large amount because it draws in more players and more repeat ticket sales from the same players. Once the jackpot passes a $584 million pot, the expected value given the odds times the ticket cost actually passes the ticket value, if there is only a single winner. Passing this psychological barrier causes lottery players to dig deeper and play with more money and lures more casual players in to play as well. The result is very similar to an outbreak researched by epidemiology (the study of disease outbreaks). All of these players and extra tickets increase the probability that the game will ‘hit’ and pay out at least one jackpot winner. All of these players and extra tickets also increase the impact of the game by drastically increasing the jackpot value at a fervent rate. We have put it out there many times: The risk calculation is simply probability multiplied by impact. The Powerball is strictly regulated and reported- so we know the exact probability (the listed odds) and the approximate impact (the listed pot). Pandemics are a little harder to get a grasp on. Scientists pull from historical data to learn about epidemics and pandemics. They also perform tests with diseases in lab simulations to understand both the probability of occurrence on a timeline and the impact. Even with simulations, experts agree that the next pandemic will catch the world by surprise. 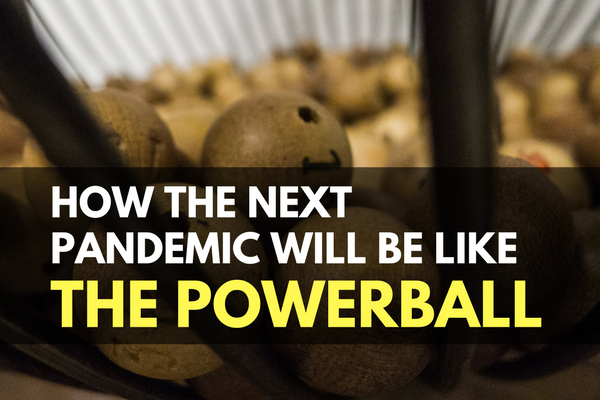 The Powerball has linked probability and impact in a very similar way a pandemic does. A rising population and the other six risk elevators listed above give pandemics more potential fuel in the same way more players in the Powerball raise the jackpot. Global society has the ability to reduce some of these risk elevators, but the chances of this happening are not likely prior to an outbreak. Unfortunately, history shows that it takes an actual occurrence to get the attention needed. When this occurrence happens, there will not be a lucky winner with a windfall of jackpot money. Instead there will be a world caught off guard and unprepared. A pandemic should be on your prepping radar if it is not already. Experts agree and history shows that it is not a matter of ‘IF’ with pandemics, but a matter of ‘WHEN’. Knowing what to do and how to protect yourself and your family can give you a leg up ‘when’ any disease outbreak occurs. Communication technology and protective gear has been improving over the years as the pandemic risk grows. Staying up to date makes sense and does not require many resources. Keep exploring, stay prepared, and be safe.